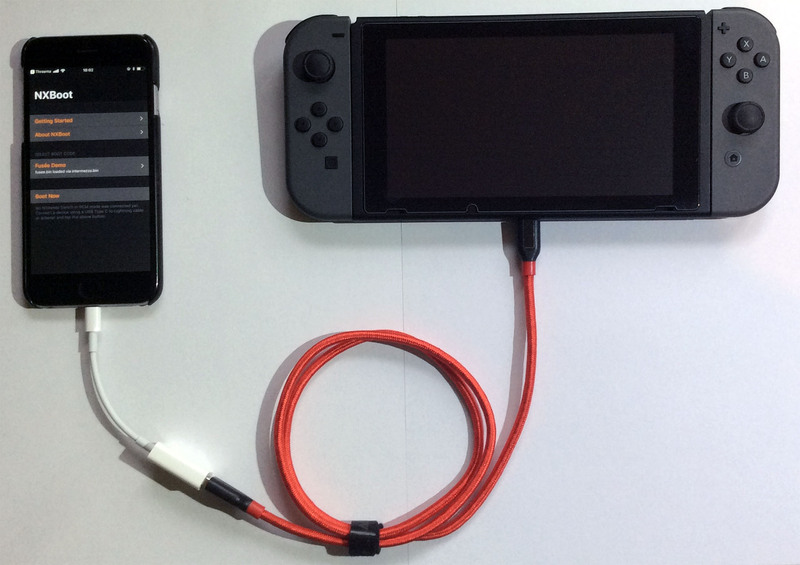 NXBoot enables starting custom boot code on the Nintendo Switch through the Fusée Gelée hardware exploit. Booting Coreboot/Linux is supported. A jailbreak is required. For jailbreaking info visit canijailbreak.com and /r/jailbreak. Please keep in mind that a jailbreak is detrimental to your mobile device's security and you should never jailbreak a device that stores sensitive data. Currently the minimum supported iOS version is iOS 10.0. Updates are provided automatically via Cydia. A changelog is visible on this page and in the Cydia package description. The command-line version of NXBoot works on iOS 9.0+ and macOS 10.10+. It is also available at /usr/bin/nxboot when the Cydia package is installed. Run ./nxboot -h for usage info. I don't have a jailbreak. Can this work as self-signed IPA too? No, it is impossible. A self-signed IPA does not grant any sandbox exceptions, which NXBoot requires for raw USB device access. What are the iOS hardware requirements? Does it work without a Lightning OTG adapter? Can you make it work without an Lightning OTG adapter? Maybe, probably not. I'd be interested in technical details about the Lightning Camera adapter's internals and how iOS deals with USB host and device mode. Will cheap, non-Apple OTG adapters work? Maybe. I've received reports from some people who had success with cheap $5 Lightning OTG adapters, but others did not get their third-party adapter to work at all or had USB communication errors. Why use your app at all if it requires a $30 adapter? Because you've already got that adapter, or find it convenient, or found a cheap third-party adapter that works for you. NXBoot was tested and found compatible with all jailbreaks for iOS 10 and later, up to Coolstar's iOS 11.3.1/11.4b3 jailbreak. It may break if Apple changes some of its private APIs or sandbox details in future iOS versions. Any first generation Nintendo Switch with any firmware will work. There are reports about patched Nintendo Switch hardware on which the exploit no longer runs, but any switch purchased before 2018-07 should be safe. Yes and there are no ads. It was created as a fun experiment. Is it open-source / free software? How nice of you! <3 I've got a public Amazon Wishlist - maybe you find something there that's in the price range you have in mind. Thanks. Please understand that sending a gift creates no obligation on my part to create a feature or support you with an issue with this app. What is the difference between your command-line tool and others? The functionality is most likely equivalent, but nxboot has zero dependencies (it works directly with IOKit) and can launch both Fusée and ShofEL2 payloads out of the box. If you've got a business inquiry please contact me at any time at my business email in the footer of my blog. I solve challenging programming, reverse engineering and security problems, develop embedded software, high performance network applications and iOS mobile apps at my company Softwific.